Today, we said au revoir to Paris and hallo to Amsterdam. Even though we were exhausted from the previous day, we managed to get up, pack, and leave the apartment and catch our train. We were asleep for most of the train ride, but some of us were more than happy to spread the Harvard Organ Society spirit. Jordan, in particular, served as a wonderful ambassador to other train passengers, and excitedly explained that we were visiting organs in Amsterdam. 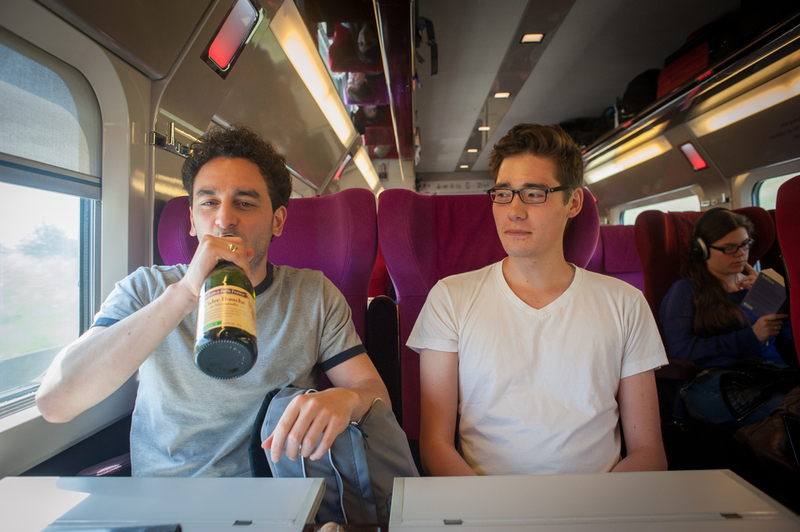 Gianmarco sips cider on the train. We get off the train in Amsterdam! When we arrived, we immediately sensed that we were in a city rich in history and culture. However, getting around was somewhat of a challenge. Just simply crossing the street was an adventure: we had to watch for bikes, cars, trams, and other pedestrians! 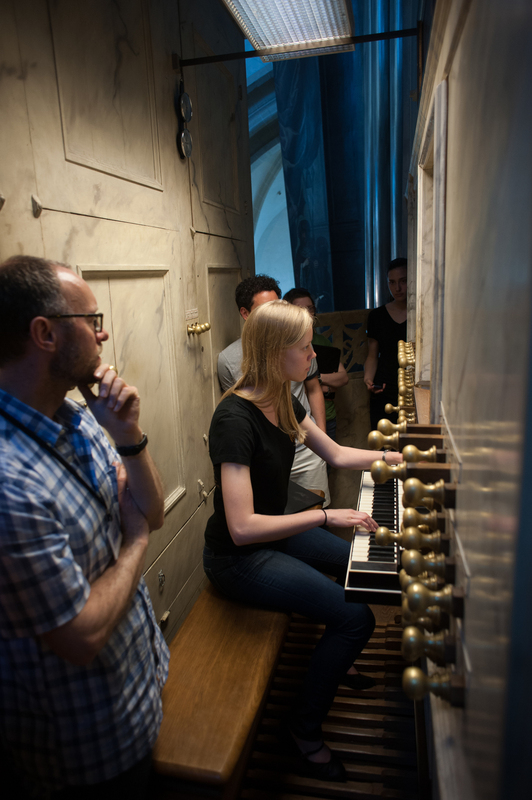 We took taxis to our apartments, dropped off our luggage and quickly headed to our first destination: Nieuwe Kerk, where we got to play the beautiful 1651 Van Hagerbeer organ accompanied by Henk Verhoef. We were amazed by how hard it was to pull stops because they were quite heavy! 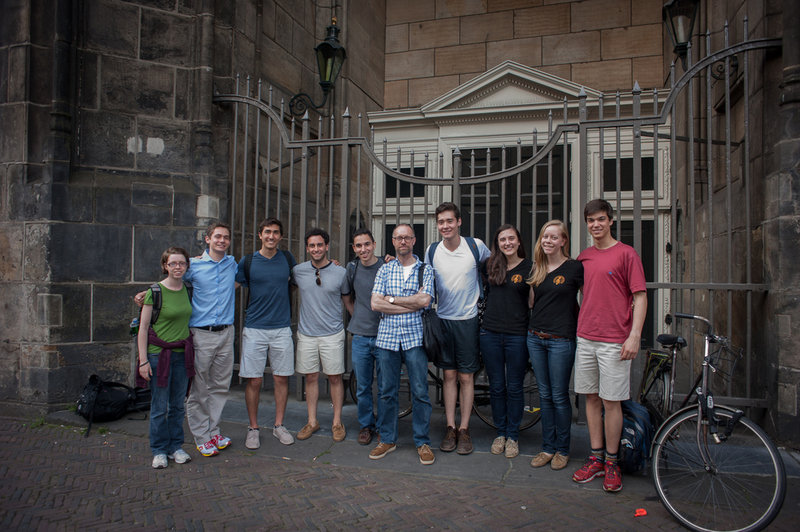 We arrive at Die Nieuwe Kerk! The main organ of Die Niewe Kerk. 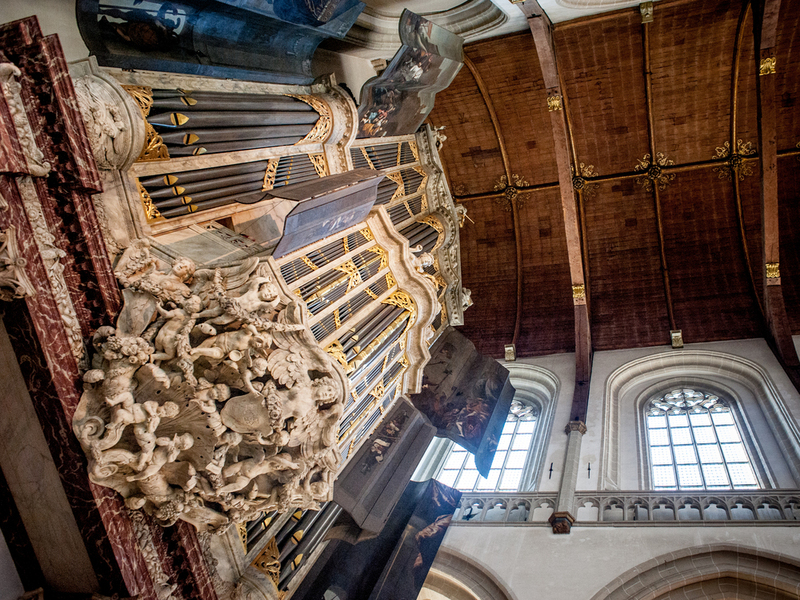 The original organ was built by Schonat in 1655, and then expanded in 1673 by Van Hagerbeer and Duyschot. Henk Verhoef sets up a registration for Gianmarco at Die Niewe Kerk. After leaving the church, we headed to the local grocery store to pick up food for dinner. We bought so much food that some of the locals began to wonder if we were having party. With our bags breaking from the weight, we carried the groceries back the apartment, where Master Chef Lane and his assistants cooked up a wonderful dinner of chicken, rice, and vegetables. Heartily satisfied, we all went to bed. Good night, Amsterdam!